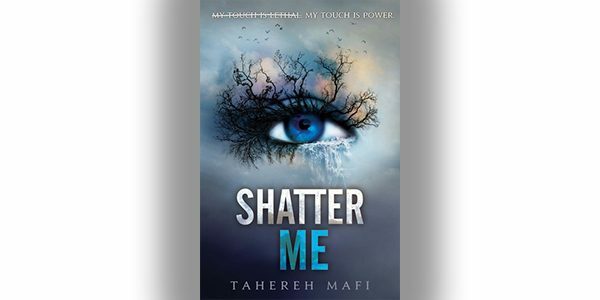 In Shatter Me, by Tahereh Mafi, Juliette being labelled dangerous is an everyday occurrence. Her isolation is complete. No one knows why, by Juliette’s touch is fatal and she’s been locked up on her own for too long. That is, until The Reestablishment decided they can use her as a weapon. Finally in the company of others, Juliette has a new desire to fight back and to experience freedom. She forms secret alliances, maneuvers through the politics of The Reestablishment, and hopes for a future with the guy she’d thought would never be in her life again. It’s refreshing to have a character like Juliette, a girl who’s touch is fatal and powerful—for everyone to be afraid not of some huge man, but of a teenage girl that just wants to find a small piece of happiness. Though Juliette’s own cloud of fear surrounding her abilities will make it difficult to discern who’s telling the truth and who’s lying in order to use her. However, Juliette is relearning her abilities. What once spelled disaster for her, may be exactly what it takes to claim power, make a difference, and love herself. Juliette has a long road ahead of her, but the more she trusts herself, the more she learns about her powers. Mafi’s writing puts the reader right into the mind of Juliette. Her stream of consciousness writing style, paired with Juliette’s crossed out thoughts give this book a magnificent spin on a dystopian story. The way Juliette thinks is beautiful, how she describes her feelings and what she’s seeing and what it’s like—it gives us access to the character in a more intimate way; we know the workings of her mind and can experience more clearly what she’s feeling through the exposition and metaphors. It grasps the emotions more clearly than any straightforward statement could. The other characters have lives outside of Juliette, with fears and ambitions and hopes—there’s the promise of more for each of them as the book progresses and thankfully there’s two more books in the series where the reader can dive deeply into Mafi’s unique world.